As a business professional, striving to learn and grow with social media you may be familiar with social media and the power it yields for increasing exposure, engaging with prospects and clients, and generating leads. 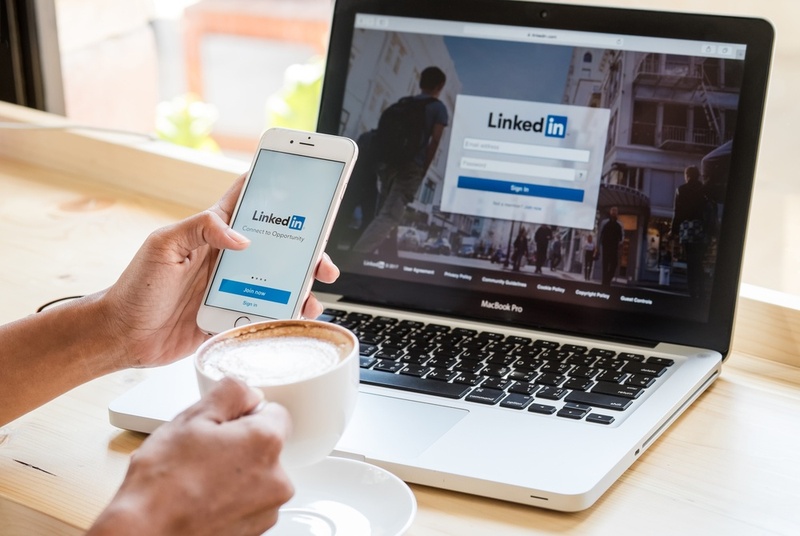 For business to business (B2B) sales, such in the manufacturing, distribution, or service providers in the healthcare industry, one of the most powerful marketing tools at your disposal is LinkedIn. Studies show that 80% of B2B marketing leads from social media come through LinkedIn, making it your best bet for ROI on your marketing dollars. Let’s look at how we can use LinkedIn to identify, approach, and convert potential customers into viable leads. Who are the decision makers that have the authority to accept your offer? If you have not yet developed buyer personas, you need to do so before investing in paid advertising. What are the chief problems that your prospects and customers need to solve? How does your product or service solve those problems? What is the typical process that your prospects follow before becoming customers? What does your selling cycle look like? The answers to these questions will help determine what type of advertising is needed to streamline your buyer’s journey. By directly addressing the concerns or questions that they have at each stage of that journey, you cultivate a relationship – informing them of the benefits of your products and services while endearing them to your brand. Each marketing campaign should have a distinct objective. Once you know your objective, you can map out a strategy to get there. Before moving forward, you will also need to know how much time and money you have available to invest. A multifaceted campaign may require several ads, landing page(s), and budget for paid advertising. If you do not have a LinkedIn account, you can easily create one here in just a few minutes. From your account, access the Campaign Manager by clicking on the icon that looks like a Rubik’s Cube in the top right corner of your screen in LinkedIn and then click on Advertise. You will be redirected to a page that introduces the subject of advertising on LinkedIn. Next, you will click on Create ad. You may choose the type of ad you prefer based on your campaign objectives and budget. If you have not yet created a Company Page, you may want to create one now because it is an important marketing asset. It may be the first introduction a prospect has to your brand. Here are some best practices for LinkedIn company pages. Do you have a fantastic landing page where you would like your prospects to go? Is your goal to increase web traffic? Or, would you rather use LinkedIn’s lead generation form? If you have a landing page or web page ready to gather leads for this campaign, you can direct users to go to that URL. For each type of ad, LinkedIn provides clear instructions with links to additional resources to help you create effective ads. You can create multiple versions to test which one gets the most conversions. You will now have the opportunity to put your persona data to work. You must first indicate a target location you want to reach. It can be as broad or narrow as you like. You may also specify 16 additional targeting criteria (related to company, experience, education, interests, and identity) to sculpt an audience that closely resembles your ideal buyer. You will see an estimate of the total number of prospects you can reach with the criteria you have prepared for your target audience. There are a few pricing options available. You may choose pay per click, per 1,000 impressions, or per delivered sponsored InMail. You will also need to indicate a daily budget with beginning and end dates. Once you have done that you will be asked to input your payment details. Details of the advertising pricing options are addressed in the frequently asked questions (FAQ) section. Now that you have set up your campaign, you can review your ad, and launch it. You will be able to track the results of your campaign through your landing page forms or LinkedIn lead generation forms. For assistance in using LinkedIn for prospecting and lead generation, contact us at KBK Communications. We are here to help.